Allow me to introduce myself. I am David Chandler, author of the Home Study Companion series. I love to teach mathematics! Education: I have a BS in Physics from Harvey Mudd College (individual program of studies combining physics and engineering), an MA in Education from Claremont Graduate University, and an MS in Mathematics from Cal Poly University. 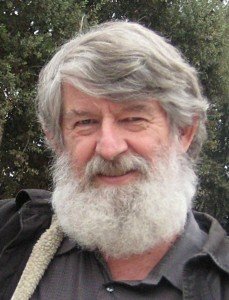 Teaching Experience: I have taught physics, mathematics, astronomy, and computer programming for over 35 years in public, private, international, and charter schools and community colleges since the early 1970’s. In the last nine years before I retired, I taught at Eleanor Roosevelt Community Learning Center, a K-12 charter school that works with homeschooling families. Working with homeschoolers led me to see the need for course materials that replace the classroom experience. At this point I have taught more students in my retirement than in my regular teaching career. One of my more interesting projects at Eleanor Roosevelt was designing a mixed grade level course called Math Explorations (for 2nd grade through Jr. high) to stimulate curiosity and encourage mathematical thinking. Math Explorations involved “precursor activities” that don’t necessarily look like mathematics. We did puzzles, mazes, perspective drawing, distorted photographs, and a lot of other fun and fascinating stuff. It’s not about math skills, narrowly defined. It’s about how the brain is wired! This is the kind of thing I could do at a charter school working with homeschoolers that I couldn’t possibly get away with in a conventional public school. I took a similar approach for several months as a “math columnist” for the online Schoolhouse Teachers program, except this time at the high school level. A few of my Math Explorations projects can be seen under the Bonus Topics tab. I have frequently put mathematics to work outside the classroom, including working as a programmer, inventor, product designer, and consultant. I really do use math on a daily basis apart from teaching! Mathematics is a wonderful tool that enhances the potential for both creativity and fundamental understanding of the world. Please contact me if you are having difficulty installing any of the software or getting it to work properly. It has all been tested and should work correctly. If not, I will work with you to remedy the situation. Thank you for visiting the site. Please look around.